Special Unit prosecutor Michael Chakandida yesterday opposed former minister and Nyanga South legislator Supa Mandiwanzira's application for variation of bail conditions saying that he is a potential fugitive. Mandiwanzira who is up for abuse of office was back in court yesterday and appeared before regional magistrate Elijah Makomo. Representing the former minister, Advocate Thembinkosi Magwaliba told the court that they were seeking alteration of bail on two respects, namely reporting conditions and release of passport. "Mandiwanzira currently reports twice a week, every Monday and Thursday and the application seeks to have him allowed to report once a month. "The current reporting conditions are stringent in that he is the legislator for Nyanga South which is 300km away from Harare and for him to effectively represent that community, he has to visit regularly. "the conditions unnecessarily disturbs his work there and it is costly to travel to Harare just to report, he deserves relaxation because he has been religiously complying since November last year," said Magwaliba. Magwaliba further elaborated on the second aspect of the release of passport arguing that it should be released because he runs a large business enterprise which is import based and requires him to travel to China on a regular basis. Mandiwanzira told the court that he is prepared to give an additional security of not less than $100 000 as assurance that he will stand trial. Prosecuting Michael Chakandida opposed the application saying if the bail conditions are varied, he will not avail himself for trial. 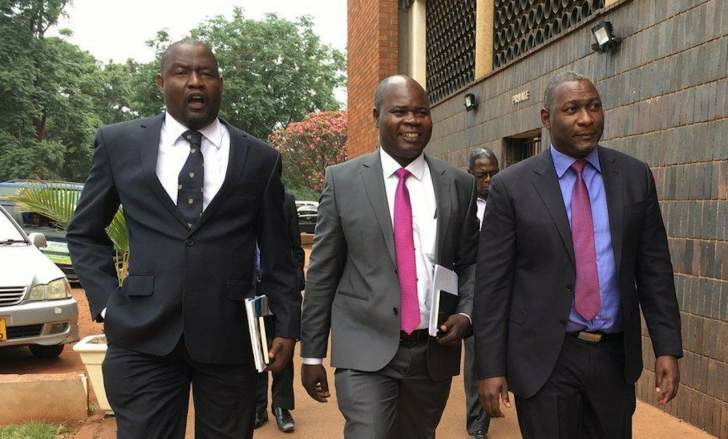 "Although each case is subject to its own circumstances but all former public officers who are facing similar charges used the same modus operandi and are now fugitives for example in the case of State vs Kasukuwere and that of Mzembi," said Chakandida. The matter will be back in court today for ruling.